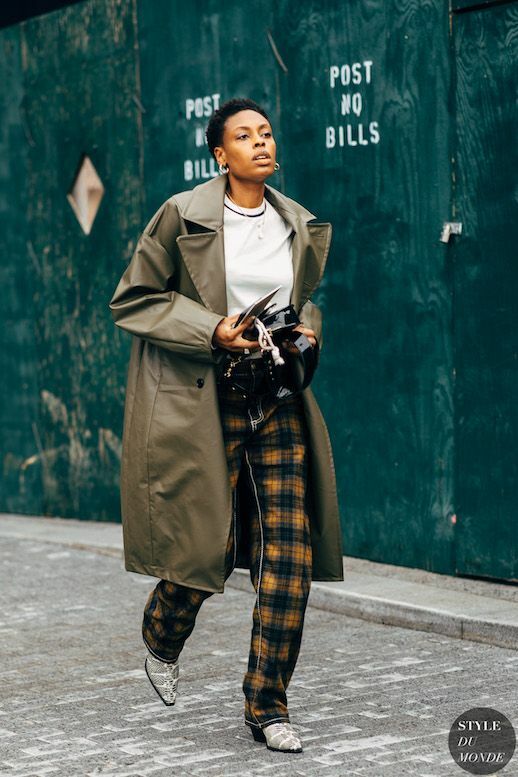 Whenever fashion week begins, we look to London for its edgy, unexpected pairings and epic street style shots. Donna Wallace was spotted outside one of the shows, adorned in head-to-boot perfection. On top, a khaki leather coat and a white t-shirt. On the bottom, pajama-like plaid trousers and the coolest of cool snakeskin boots.